DAMMANN Frères - A ZESTY STORY ! Home blog A ZESTY STORY ! It may seem strange to have to explain that Sir Winston Churchill was a tea drinker; he was an Englishman and, of course, all Englishmen drink tea. The great man’s particularly strong personality also showed when it came to the favourite beverage of Her Majesty’s subjects! We know that Sir Winston liked to drink a very strong black tea which he enjoyed mainly at breakfast time with buttered toast and jam. … My dear Nancy, answered Sir Winston, if you were my wife, I would drink it! … Sir Winston would most certainly have found a tea to his taste among our breakfast blends. 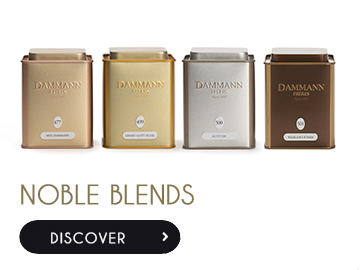 These are combinations of robust teas coming from India, Africa, Sri Lanka… which are prepared by Emmanuel Jumeau-Lafond our tea-blender.